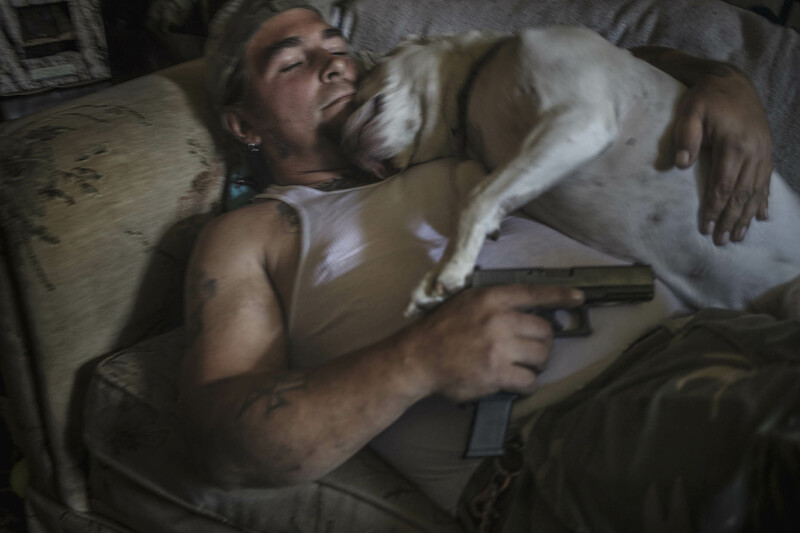 Portrait of the leader of the militia group My Brothers Threepers, Danny Bollinger, 43, on his couch in his living room in Maryland. He owns several weapons and uses them on a daily basis in his garden. The militia group was in Charlottesville during the âUnite the Rightâ event in August 2017, on a mission from the right wing side to prevent violence. - I prepare myself for what the Bible calls the end days, says Danny.